Words by Kevin Doocey on November 8, 2013 . The team were disciplined for a whole hour last Saturday and stuck to a rigid shape which hampered any progress Juan Mata and Oscar tried to make in the final third. Cheick Tioté - a man who I have heavily criticised in the past six months - looks a beast reborn. His role as interim captain seems to have reignited the very best aspects of his game. It is no exaggeration to say that the African has been our stand-out performer in the last five games. The real pickle I have however; is with Vurnon Anita. As many of you will know, I am a big fan of the Dutch midfielder. I think he is a class act in front of the back four and a neater footballer than Tioté. Anita is not intended to be the same player as Cheick though, in fact - Vurnon is a far superior player technically. However, Pardew does not seem to really appreciate his true ability. If Anita’s quality was ever questioned, his critics were answered on Saturday when the 24 year-old linked up smartly with Gabriel Obertan before showing a touch of class to round Ramires and lay on a plate for Loic Rémy to smash home. The guy can play - and is a match winner with his ability to keep things ticking over in midfield. 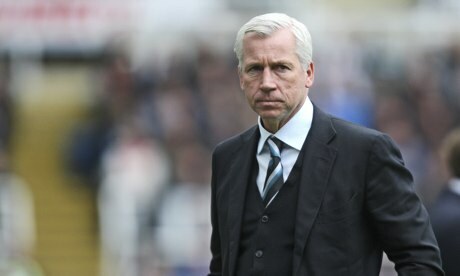 To get to the point, from Sunday all the way to the Christmas period we will see what Alan Pardew is made of. Last season he tried to play it safe by locking away creativity and opting to deploy a stringent, grafting game which almost cost us our Premier League status. It was a style of football that reflected a worried manager. Now, in the year of 2013, Pardew has the chance to show us that he really is an attacking styled manager who harbours the intentions of playing an attractive style of football. With no European campaign to hamper us and only the FA Cup on the side - there is no reason why NUFC would revert to drab tactics that the players are not natural to, nor _do they want to play_. Yohan Cabaye, Cheick Tioté, Vurnon Anita, Hatem Ben Arfa, Loic Rémy, and Fabricio Coloccini are all footballers who are suited to a positive style of play as we witnessed in 2011⁄12. Now, I fully expect Pardew to keep with Tioté against Spurs on Sunday for his sheer physicality, but as the weeks progress hopefully we’ll see an adventurous side to our manager, in other words, tactics which encourage creativity. If we play like we can, we have the ability to beat any team in the Premier League. Would agree with that, perhaps with Coloccini instead of Williamson, but to be fair the big man has done well since filling in. Those five in front of the back four look quality though.